"Pay What You Can" pricing is a scaled pricing option available only through ChapterProjects.com. To obtain a pdf copy of Disturbingly Normal or Soft Candy, donate whatever amount you can, greater than or equal to one dollar ($1). Upon receipt of your donation, you will be sent to a download page where a pdf copy of the book you chose can be downloaded. 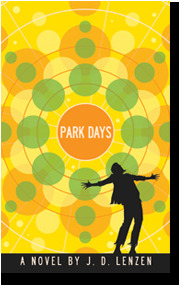 Park Days now available as paperback and e-book! A derealized homeless man named Daniel Park returns to self-awareness following a miraculous event witnessed by a group of young cyber hipsters. Assisted by the generosity of their unofficial group leader, photographer and self described "hacktivist" Jack Rosenblum, Daniel sets off on an accelerated quest to unravel his past. With each truth uncovered, Jack finds himself increasingly distanced from Daniel, a man he quickly realizes is hell-bent on reconnecting with Escape  a rare psychedelic drug that when consumed results in a dreamlike reality that lasts months, possibly even years. Be sure to click on the Decoded Tags located on the Books page. Each tag takes you to a behind-the-scenes look into the research, people, and experiences that went into the making of each book. Born in 1972, J.D. Lenzen grew up in and around the Bay Area  the bubble he calls home. After college, he spent his mid-twenties living and working in the redwoods of the San Mateo Mountains, and his late-twenties exploring, playing, and stumbling through a variety of alternative San Francisco scenes. He now writes novels and short stories based upon people he's known, places he's been, and exploits he's experienced. "I want to take my readers on a ride through the extremes of high-end and low-end living, slowly drawing them into places they wouldn't otherwise go." 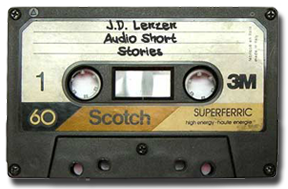 For media reviews, interviews or events, please contact Mr.Lenzen@gmail.com.